Make his audience enjoy. This has been Toni Vargas’ most important premise since he first stepped a stage 15 years from now. His love towards music and his attitude and desire to continue evolving and experimenting with electronic rhythms were the principal causes for this Galician born to move to Barcelona, where he definitely finds his place and a new home with the ElRow Club family years later. Ibiza has also been one of those cities where Toni has given his best. Clubs like Amnesia, Pacha, Space, La Diosa, or Pin 'Up, know how Toni’s sound can fit perfectly well and deal with the real spirit of the island. Ibiza’s electronic scene started growing and Toni grew up with her. Since 2004 until 2010, he becomes one of the famous Amnesia Ibiza’s residents playing for parties as People From Ibiza or Contact. Time later, it would be Amnesia World Tour, one of the most international and prestigious electronic tours, who opened his sound to the world offering him a great opportunity to deliver his music to more than thirty countries along the globe. 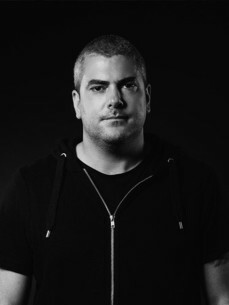 His inseparable style –a warmish and elegant tech house sound-, has travelled in Toni’s suitcase since its beginnings, bringing his peculiar, genuine and unique sound to festivals such as Creamfields, Monegros, Dreambeach, Neo-Pop, Space Sydney Festival, Culture One, Day One or Winter Music Festival, among others. The studio is one of his most visited and busiest rooms. With over 40 references in the market, along different labels as Octopus, Moan, Form, Lapsus Music, Amazing, Voltaire Music, Tech Recovery or Time Has Changed, Toni shares the lead -with a few others- of the ‘most admired artists’ ranking of the Spanish scene.